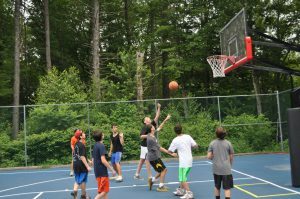 Sports at Camp Yavneh come in many styles and opportunities! Each morning starts as some campers run down to mifkad (flag raising) so that they won’t be late and that’s where the activity begins. 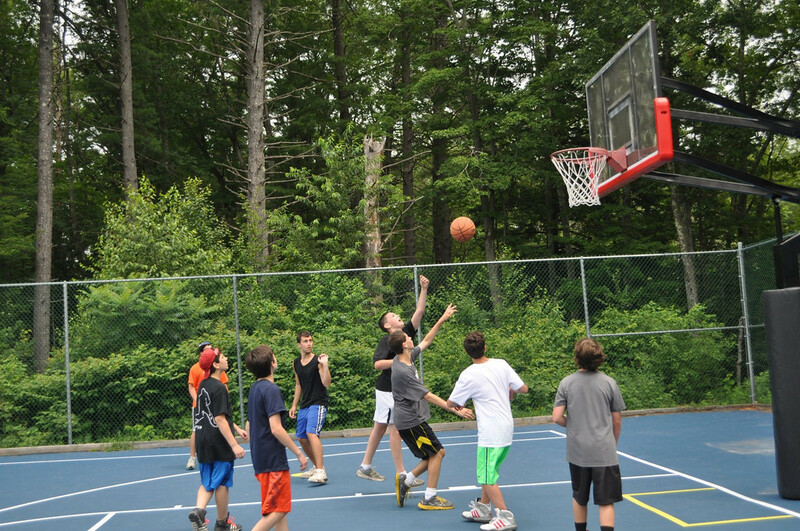 During the morning activities, the campers have an opportunity to choose sports as one of many electives. Their choices could include: basketball, volleyball, tennis, climbing tower, ultimate frisbee, weight lifting and fitness and sometimes a combo period where 2-3 sports are done in a round robin. When the third period is over many campers catch a quick ping pong game or tetherball game as they head back to the bunk to wash up for lunch. Just walking back and forth to the girls and boys areas 4-5 times a day might be plenty of exercise for your average couch potato. At Yavneh, we don’t have couch potatoes only french fried and baked so even walking here and there is a fun activity. After a well balanced and hearty meal, many campers go back to the bunk for rest hour except campers who are playing on varsity teams such as basketball, volleyball, softball or a participant in one of our many tournaments that we partake in almost weekly. Some weeks we participate in a swim meet, tennis and volleyball tournaments at other Jewish camps. Yavneh sponsors a basketball tournament and a track meet in which many other camps participate. The afternoon is filled with balls flying on the sports fields, all kinds of balls! Frisbee (is that a ball?? ), softballs, kickballs, tennis balls, large bouncy balls, footballs and…Every camper has a sports peula scheduled every afternoon, weather permitting. In addition, to the “classic’ games there is instructional and free swim daily. Even our special days! include lots of activity. Every aydah goes on at least one –two hikes in the summer to our local White Mountains other beautiful locales. The summer is all about being outdoors, enjoying the sun (with sunscreen), the fresh air and each others company.We accomplish all that and more as we move our bodies through the warmth of summer.